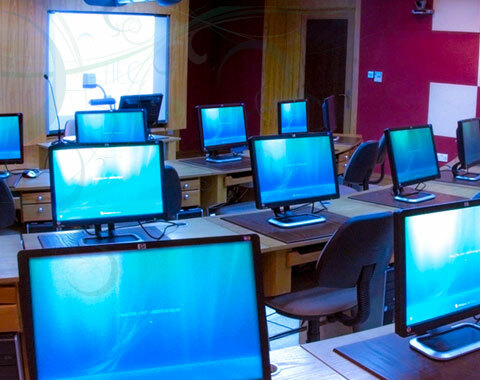 We have four labs in the HEC center and one lab in building C which are equipped with total of two hundred plus computer with dedicated technical support. These multipurpose labs have the abilities to host lectures, trainings, exams, workshops etc using the latest educational technologies. These labs can be used as a single facility using our video conferencing facility. All the labs are provided with dedicated high band width internet connections.